This article from the Wichita Eagle details the achievements of Walter and Olive Beech. Beech's life in the aviation industry began in 1922 when he joined the Swallow Airplane Manufacturing Company. The article also addresses the role of Beech's wife, Olive, and her contribution to the success of the Beech Aircraft Company. 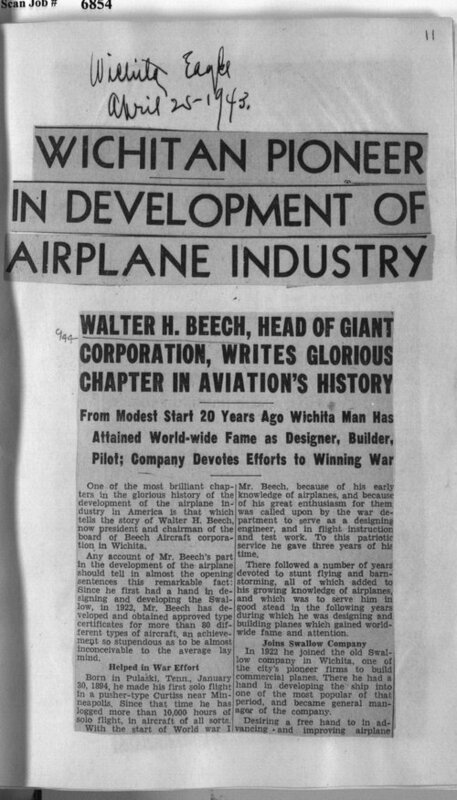 This article on Walter and Olive Beech can be used to give students a brief synopsis of their accomplishments, as well as their contributions to the aviation industry in Kansas.